For Immediate Release: Posted On 5/26/2016 By Industrial Magnetics, Inc.
Industrial Magnetics, Inc. recently added two new magnetic products to their Mag-Mate line, Magnetic Door Holder/Stops and Magnetic Latches, for holding, latching & mounting applications. 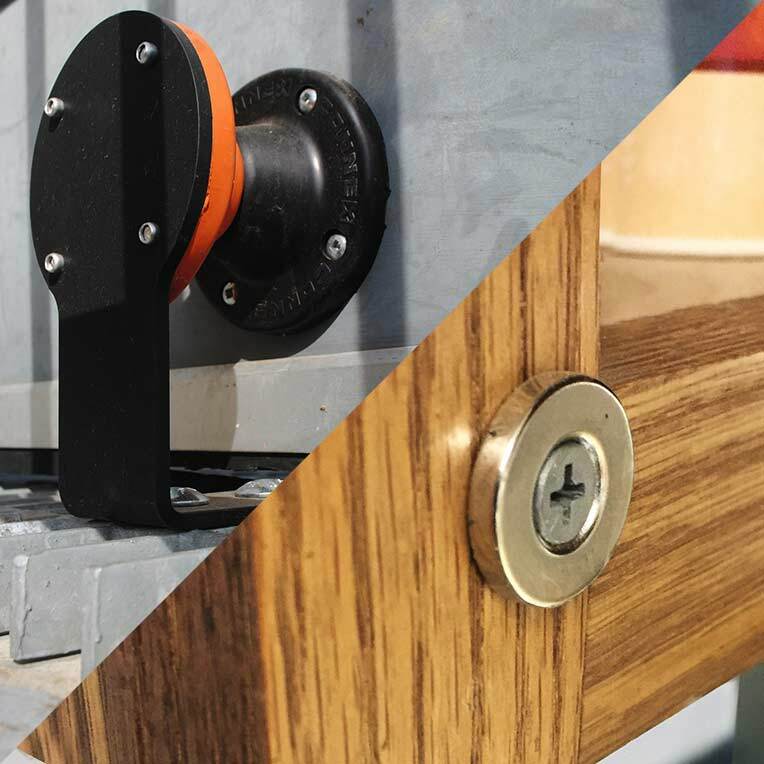 The Magnetic Door Holder/Stops offer a powerful, single or paired magnetic connection system that can be used to hold either metal or non-metal doors and cabinets in the open position. Constructed with Rare Earth magnets embedded inside a non-marring housing, they are mounted to walls and/or doors using one of several different options; including adhesive, screws or rivets. Ideal for indoor and outdoor applications in home, office, garage, RV or marine settings, they can also be used to magnetically attach metal key rings or tools. IMI’s new Magnetic Latches also incorporate an extremely powerful Rare Earth magnet. These thin profile holding magnets are ideal for door & cabinet closure applications or for mounting panels, signs, or pictures. Product features include plating on magnet, washers & screws for a long, non-corrosive life and a recessed mounting design that allows the screw head to set below the contact area.